Cospicua, known in Maltese as Bormla, is one of the beautiful villages that makes up the Three Cities (Cottonera). With Greek, Roman, and Turkish influences, it's a fascinating look at just how integrated Mediterranean history has made such a unique culture. 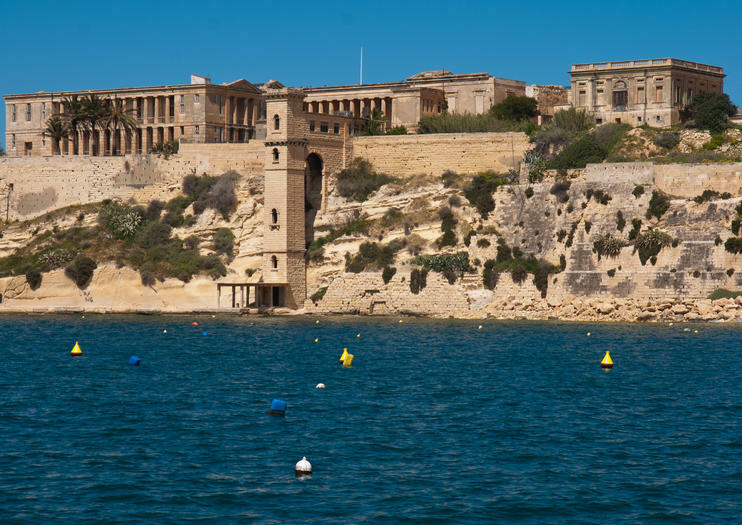 When seen from the sea, as Cospicua should be at least once, visitors are looking at a port that dates back to the Phoenician era – although it was not declared an actual city in the early 18th century, when the dockyards were built. These dockyards are still a vital part of commerce (and political squabbles) today. The original city gates and fortifications are perfect for a walking tour of Cospicua to further understand its history. And as it is the largest town of the Cottonera, visitors are often treated to many festivals and events throughout the year. Cospicua is 15 minutes from the Malta International Airport, and is served by public transport as well as car traffic. Get acquainted with Malta and its sights on a City Sightseeing hop-on hop-off bus tour. With your ticket, you can sit back and relax as you’re whisked around north and south Malta by open-top, double-decker bus. See attractions such as the Blue Grotto and Three Cities using the south route, and take in Rabat, Mosta, and Castille on the north route. Plus, listen to the onboard audio commentary to learn more about Malta and its history. Entrance fees not included. Choose between a 1- or 2-day pass. Historical battlements, ancient forts, and pretty coastal towns are just some of the sights you can expect to see on this 3.5-hour tour of Valletta’s peninsula. Travel to Sliema, one of the capital’s ports, and board a boat for your sightseeing cruise. Glide past the Grand Harbour, and see the Three Cities, a collective name given to the ancient fortress cities of Senglea, Cospicua, and Vittoriosa. Then, return to dry land to enjoy some free time in Sliema's main shopping area before your return transfer.